The IAAF World Championships have recently taken place in Daegu. Team GB, one year away from the Olympics, brought home seven medals after some strong performances on both track and field. What struck me most while watching the coverage on Channel 4 was the level of self-belief and sheer grit needed to win some of the distance races. Take Mo Farrah, for instance, who entered the 10k as a strong contender – possibly even favourite after his performances over in the States earlier in the year – and came away with silver. It was clear to see from his expression on the finish line and from comments from the GB coaching staff that not winning the gold hit him hard. 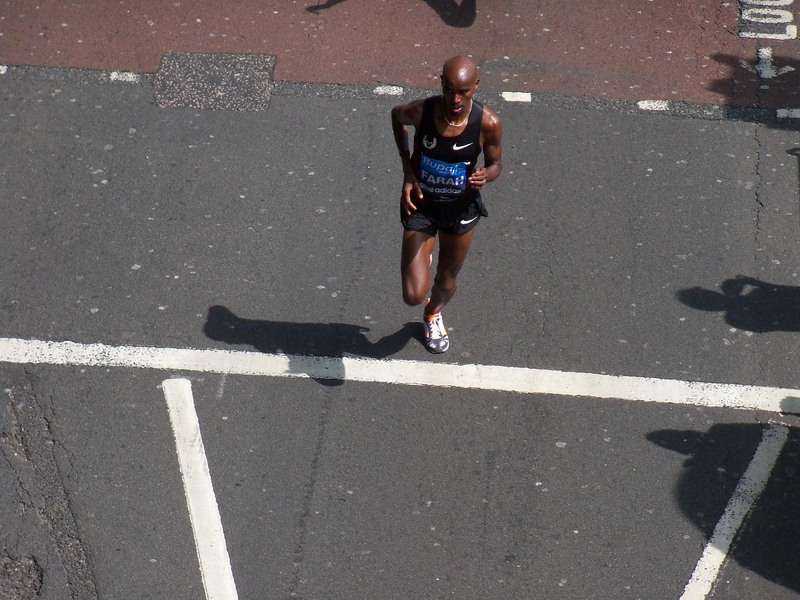 Mo Farah putting in a convincing performance at the Bupa 10k earlier in 2011. And yet, just a matter of days later, he was in the final of the 5k. For most of the race, until about three or four laps from the end, Mo hung to the back of the leading pack. Then, coming towards the final kilometre, he gradually shifted past his opponents and came into the last 800 metres at the head of the field. What followed wasn’t a sprint, more a long wind-up with Mo dictating the pace and a tight and formidable pack of elite athletes trying to push past him. But Mo pushed on and beat the field to the gold. What stands out is the ‘can do’ strength of the athletes in this situation. There was an even more steely pace-off in the last 100 metres of the ladies 800 metres. With another runner breathing down your neck it takes a lot of self-belief and determination to keep your cool, hang on to your pace and battle it out. You have to dig in, keep focused, don’t let anyone pass you and think positive. Relentless positivity and self-belief are often the marks of excellent long-distance runners. How else could Paula Radcliffe keep on coming back from injuries and set-backs? While the loneliness of the long-distance runner may be well documented, the determination and positivity is often underplayed.